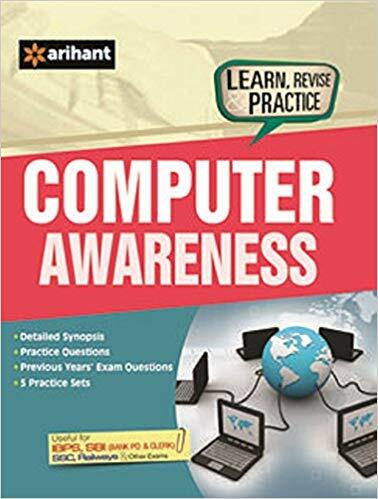 Free Download Computer Awareness Books and Study Materials PDF for Competitive Exam by Various Publication. We are sharing you Computer Awareness Books and Capsules for IBPS PO, SBI PO, RBI Grade B and Other Bank PO and Clerk Exam. Computer Awareness is Commonly asked in all the Banking and Insurance Exam. Arihant Publication Computer Awareness Book PDF for Bank, Insurance and Other Competitive Exam. Basic awareness about computers is a must if we wish to lead a successful personal and professional life. 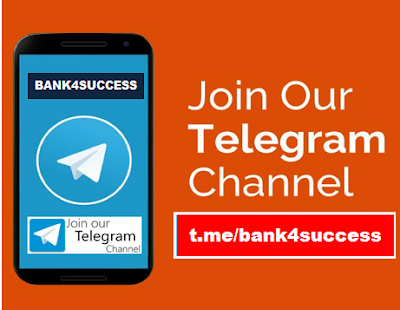 In view of the upcoming Bank PO and Clerk examinations like IBPS PO and Clerk, SBI PO and Clerk, LIC AAO, Railway Recruitment Exams, etc. Arihant has come up with a revised edition of the highly popular Computer Awareness which is equally useful for IBPS, SBI (Bank PO and Clerk) and other banking and recruitment entrances. The book has been revised keeping in mind the recent pattern of banking examinations. 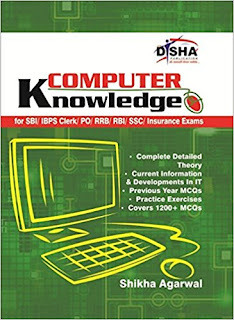 Disha Publication Computer Awareness Book PDF for Bank, Insurance and Other Competitive Exam. Computer Knowledge for SBI/ IBPS Clerk/ PO/ RRB/ RBI/ SSC/ Insurance Exams’ is a book that is bound to help all those aspirants who find the computer knowledge required to clear competitive exams for banking sector tough to navigate. Sometimes, aspirants for the Bank Exams often lose out because of falling short in the computers part of the exam, so it is always necessary to enhance and brush up those computer skills before the exam. Computer Literacy & Knowledge(English) by Kiran Publication for Bank, Insurance and Other Competitive Exam. 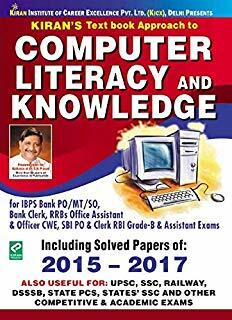 Computer Literacy & Knowledge(English) by Kiran Publication Books Provides Theoretical Understanding as well as Objective Practice Questions for IBPS, Bank PO/MT/SO, Bank Clerk, IBPS RRB Exam.